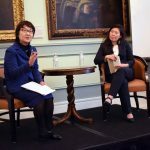 Sasakawa USA hosted a private conversation with Dr. Mitsuko Horiuchi, Visiting Professor at Bunkyo Gakuin University Graduate School of Foreign Studies, and Dr. Linda Hasunuma, Assistant Professor of Government at Franklin and Marshall College, on the topic of the state of Womenomics and gender equality in Japan. 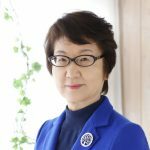 The Japanese government’s quadrennial survey of public attitudes on gender equality, published on October 31, reveals how difficult it remains for Japanese leaders to uproot traditional gender roles. Since 2012, perceptions of equality across Japanese society have barely budged, and in some areas have worsened. 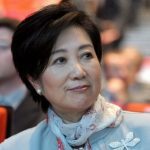 Former environment minister Yuriko Koike will have the spotlight more than any previous woman in Japanese politics after Tokyo elected her on Sunday as the prefecture’s first female governor, Sasakawa USA’s Tobias Harris said in a Bloomberg article reporting on the election. 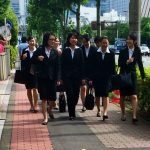 Japan recently brought into force a new law aimed at closing the gender gap in the nation’s workforce by bringing more women into mid- and upper-management positions. 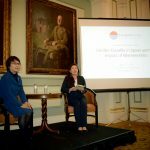 To prepare women for civic and private leadership roles, a program run in cooperation with the US-Japan Council and other partners provides young female college students unique opportunities to learn from prominent leaders in both Japan and the United States.